M.J. Rose's Blog - Posts Tagged "suspense"
Click here and vote for Best Fantasy Novel of 2013 and Victor Hugo and I are counting on you! 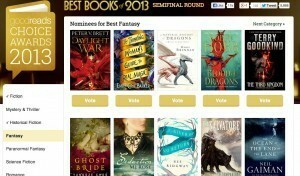 Today is the last day to vote in the semi-finals and I hope you'll vote for Seduction for Best Fantasy Novel of 2013. Victor Hugo and I are counting on you!